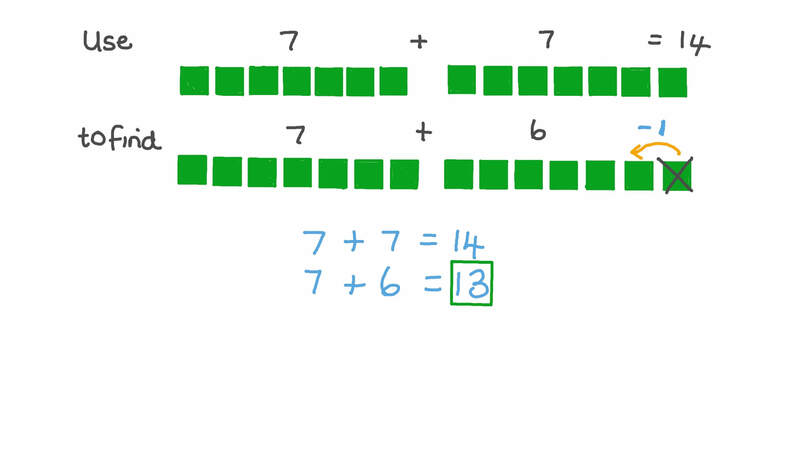 In this lesson, we will learn how to use facts about doubles to add two consecutive numbers whose sum is within 20. 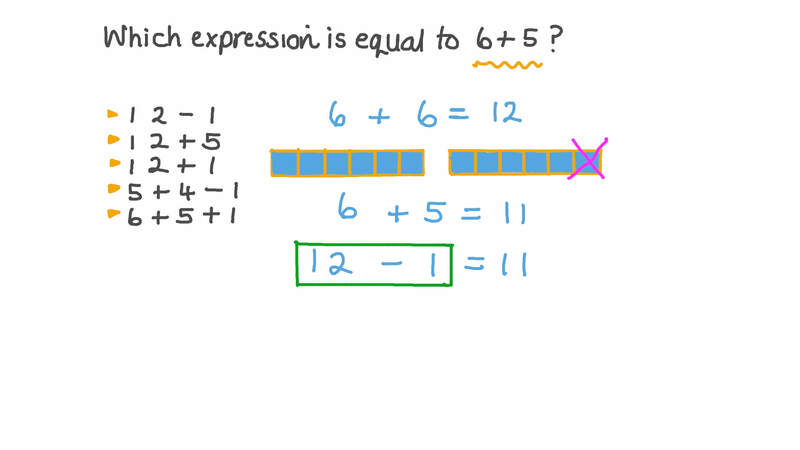 Which expression is equal to 6 + 5? Notice that 3 is one less than 4. So the answer to 4 + 3 is one less than the answer to 4 + 4 . If 4 + 4 = 8 , which of the following is equal to 4 + 3 ?